Locally sourced and organic foods are a huge trend nationwide. In fact, according to the 2016 Restaurant Industry Forecast, 57 percent of adults say they look for limited-service restaurants that serve locally sourced food, while 45 percent say an important factor is the availability of organic or environmentally friendly food. Therefore, if your clients wish to gain more customers or want to expand their menus, share the following tips with them to integrate local food onto their menus. Furthermore, be sure they are adequately protected with a custom tailored Restaurant Insurance policy to safeguard their operation. The vendors at farmer’s markets offer a variety of produce, meats, and spices that wouldn’t otherwise be found in the grocery store. Plus, they are locally sourced and are often grown in sustainable farms. If for some reason they don’t have what your client is looking for, the vendors can often point them in the right direction so they are able to get the ingredients they need for their menus. Chef Ryan Stone suggests reading grocery store labels to find the names of local producers and to research what’s in season and when the growers expect to have certain items. Be in charge of the supply. 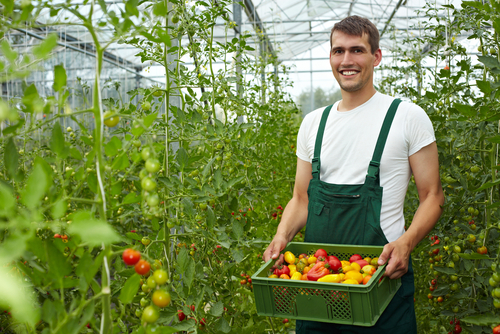 Restaurant owners are encouraged to work directly with local growers and distributors. This way, it is more likely to keep a consistent menu and to maintain awareness of where ingredients come from and when they are available. By keeping the menu small, your clients will be able to sustain the ingredients more easily. This also prevents items from going out of season or not being available anymore, causing regulars to become discouraged. At RMS Hospitality Group, we strive to provide the proper protections for your clients. From liquor liability to property protection, our specialized coverages can be custom tailored for their specific needs. For more information, contact us today at (888) 359-8390.